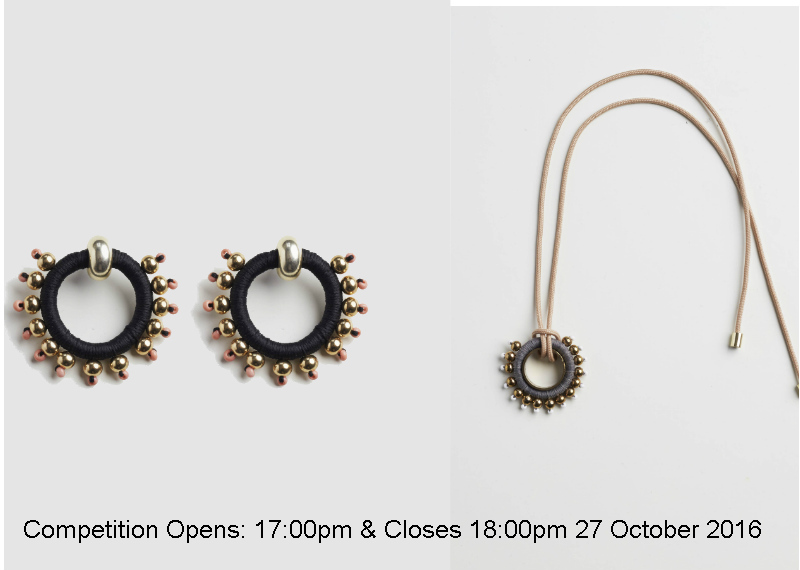 Stand a chance to win Mithra Earrings and a Mithra Pendant by Pichulik! 2.1. Entries for the Competition will open at 17h00 on Thursday, 27 October 2016 and will close at 18h00 on Thursday, 27 October 2016 (Competition Period). 6.1. The Winner will receive a pair of Mithra Earrings for the Winner to the approximate value of R 710.00 (seven hundred and ten rand) and a Mithra Pendant to the approximate value of R 780.00 (Seven hundred and eighty rand) (collectively Prize). 6.3. We will contact the Winner per telephone to obtain all necessary information to deliver the Prize and the Prize shall be delivered to the Winner at an address within the Republic of South Africa within 3 (three) weeks from confirmation of the Winner by the Pichulik Studio.